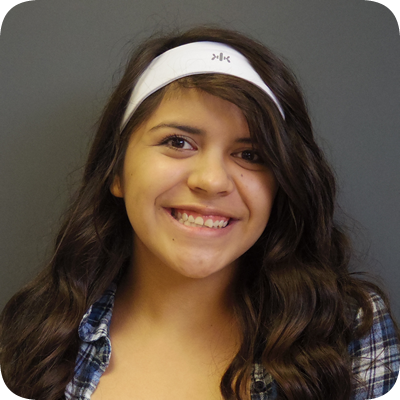 Damaris Karely Ponce, graduated from Pueblo #7 in her class in 2016 with a 3.73 GPA. (She enrolled in 2012.) 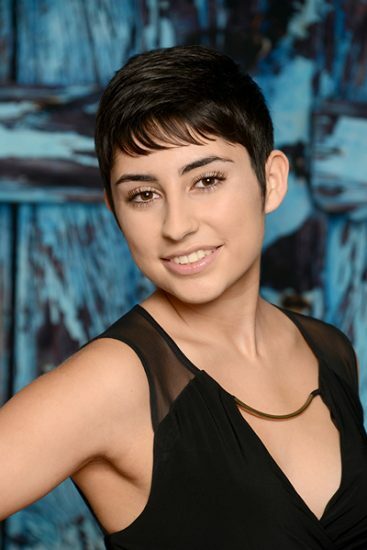 She was co-chair of the MEChA Club, a National Honor Society Member, Ivy League Tour Participant, TRiO Student & a member of our Swim Team. Damaris plans to continue her education to become an immigration lawyer. 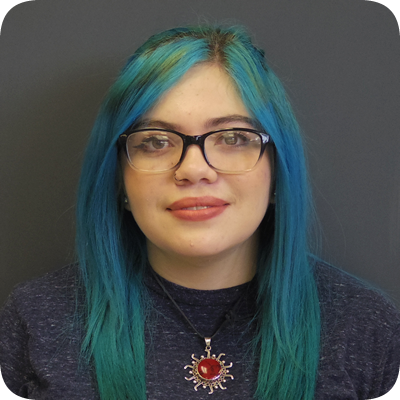 Damaris read this reflection of her experience at Pueblo to our faculty & staff during their Back To School Meeting on August 1, 2016. You can play the audio clip to hear it in her own words. I remember before Freshman year started, my mom was asked what high school I was going to. As soon as she told them that I was going to Pueblo their faces changed. They told her it was a horrible school and well… we all know what they all say. It didn’t scare me because I mean… I came from Mexico so let’s say I’ve seen worse schools. It didn’t take too long for me to discover that Pueblo was actually a really great school, with the best teachers and administration. I felt welcomed, and I received the help that I needed to accomplish my main goal which at the time, was to learn English. I will always feel thankful for the patience and respect that everyone showed me and other students in my situation. The people that think Pueblo is a bad school are the ones that are not part of Pueblo nor is informed of all the achievements we have made. 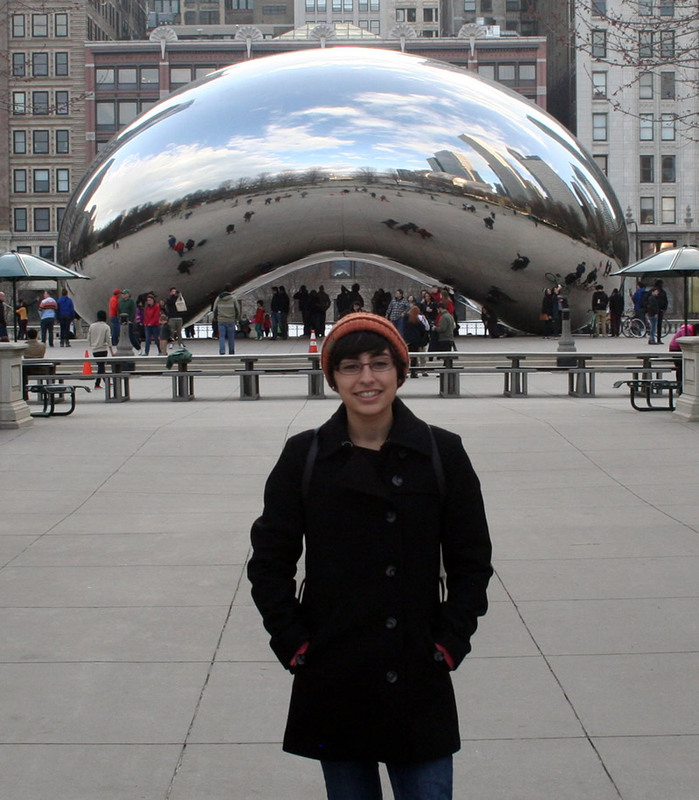 Damaris At MEChA Conference in Chicago. Teachers have this incredible ability to change the lives of their students in such amazing ways. I know for a fact you guys do change lives everyday. Before I was a student at Pueblo I’ve never seen teachers so passionate about helping students develop. It always amazed me the amount of personal hours you give to students. Because of my mom’s job and my stubbornness to not take the city bus I used to come really early to school sometimes. There were always teachers already in school ready to give tutoring to students. And if that wasn’t enough, some of you stay after school really late. People outside of Pueblo would say “well that is their job”, but I know, the students know, that those hours are not going to be paid. You clearly don’t know how to be selfish. 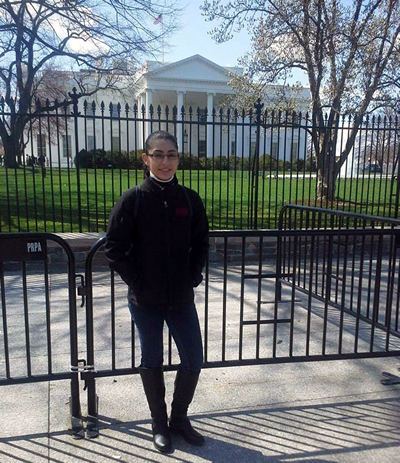 Damaris in front of the White House during her Ivy League Tour. The thing that impacts students the most is that you believe in their dreams and most importantly in them. Students are being told that they can’t go to College because of their background so constantly they end up believing it. But here in Pueblo, teachers and administrators not only believe in the students, but encourage them to great lengths and to be the best person they can be. I am a survivor of Mr. Santa Cruz’s class. I will never forget when the year was about to end, he told us we were special because we didn’t give up and continued with the class. The other day, I saw a classmate and she told me she thought the classes at Pima were going to be easy compared to Mr. Santa Cruz’s class. He prepared us so well, we now feel confident about College. This is just one example. I know each of you prepared us and helped us in every way possible. I don’t know if Pueblo was a bad school before, but I do know that Pueblo is the best school right now. On January 31, 2016, eighteen students from Pueblo’s Mariachi Aztlán mariachi group, including several chaperones and teacher Mr. John Contreras, ventured to Palm Springs, CA, as an opening act for the group, Pink Martini, a pop jazz and Latin/lounge musical group from Portland, OR, that is traveling around the country. The three-day trip began on Sunday, January 31, at 6:00 a.m., driving straight through to Palm Springs, a five-hour trip from Tucson. Most students slept on the bus, but perked up once they arrived at the hotel. Mariachi Aztlán performed four times during this trip, and each performance was slightly different because the group played in different areas. Mariachi teacher Mr. John Contreras said he was contacted by Pink Martini’s management over the winter break. They said that Pueblo’s mariachi group had been recommended as one of the student groups that excelled in Tucson by the manager of the Rialto Theatre, Curtis McCrary, who had dealt with Pueblo’s mariachi group in various capacities over the part of the 10-15 years. Several members of Mariachi Aztlán were interviewed by local news reporters in Palm Springs, who happened to attend the performances. On the evening of Tuesday, Nov. 10, I was lucky enough to be invited by Ms. Ginger Arzani, Social Worker at Pueblo and an advocate of immigration reform, to witness Ms. Rosa Robles-Loreto’s announcement that she was leaving the Southside Presbyterian Church after 461 days of living there in sanctuary. With tear-filled eyes, she said that she was returning back home to her family the next day. “I feel relieved and free,” she said. Local media was not invited to this event, so being asked to be a part of history meant a great deal to me. As an undocumented immigrant, Robles took sanctuary inside the Southside Presbyterian Church for more than 15 months. She finally grew frustrated remaining in sanctuary separated from her family. She decided that it was time to return to living her life as a loving mother and wife—leaving behind this country’s broken immigration laws. 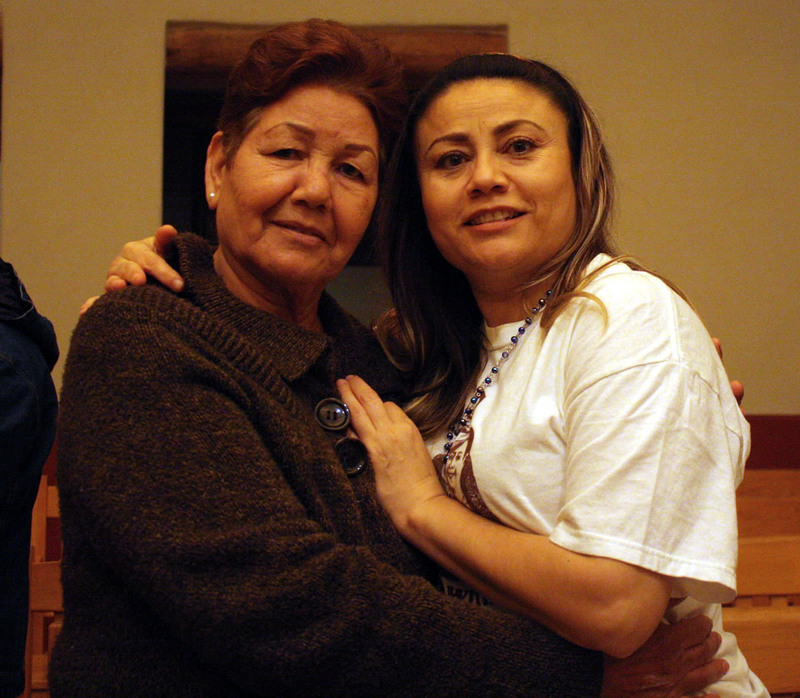 Robles entered the doors of the church on August 7, 2014, when U.S. Immigration and Customs Enforcement entered a final order of deportation against her. She has lived peacefully in the U.S. since 1999. For 461 days, Robles cooked her family’s meals in the church kitchen and spent nights sleeping in a Sunday school room. Robles and members of the Tucson faith community gathered every evening and prayed for Robles and others who were experiencing difficulties and challenges with this country’s immigration laws. As a school reporter and photographer for the journalism program, attending this gathering on the eve of Robles’ departure from the Church gave me a sense of how colossal this issue is and how Robles and others in her situation have been adversely affected by this country’s unfairness regarding illegal immigration laws. Those in attendance were very emotional about Robles’ decision to leave. 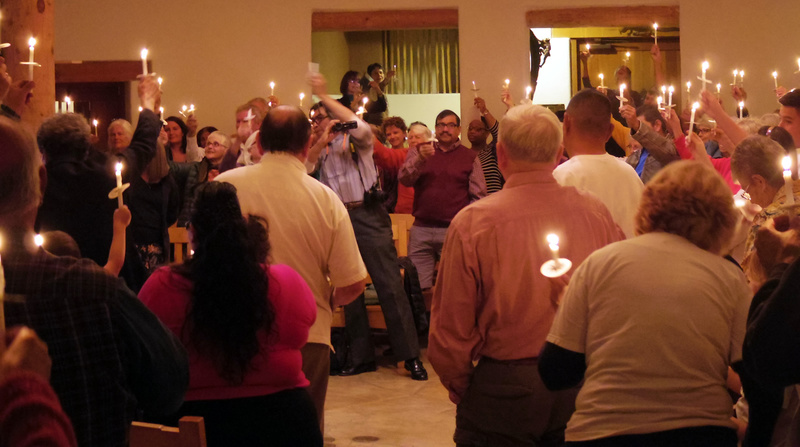 Towards the end of the evening, everybody lit their candles, passing the flame on to their neighbor—all in celebration of Robles returning home. Nobody knows Robles’ fate regarding her immigration status, but returning to being a mother and a wife was worth the risk. Nearly 10,000 “We Stand With Rosa” signs have been placed around Tucson, especially throughout downtown, along 4th Avenue, and the Armory Park are, not to mention in schools across the city. Just because Robles is home does not mean that these signs should come down. Posted on December 4, 2015 November 14, 2017 Categories Exclusive, In The News, Social IssuesLeave a comment on Rosa Is Free! Free Super Bowl Tickets For Lucky Warrior! Cesar Rivera surprised with Superbowl tickets! 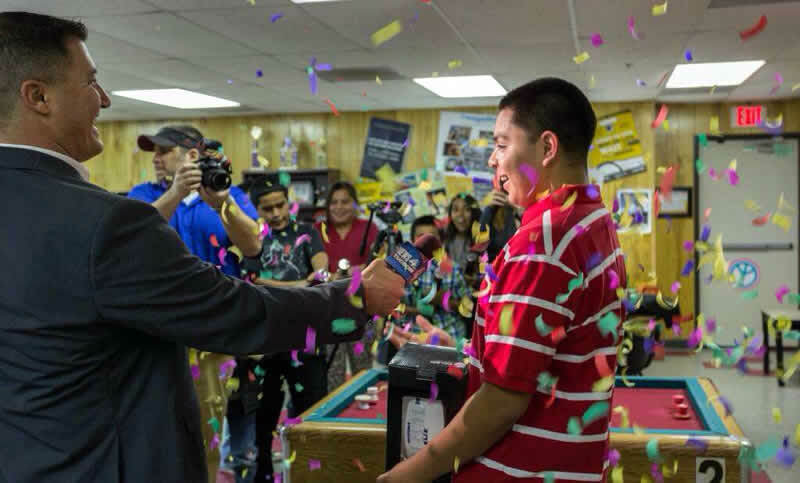 Our very own Warrior, senior Cesar Rivera, was totally surprised with Super Bowl XLIX (49) tickets—as well as vouchers for transportation costs. 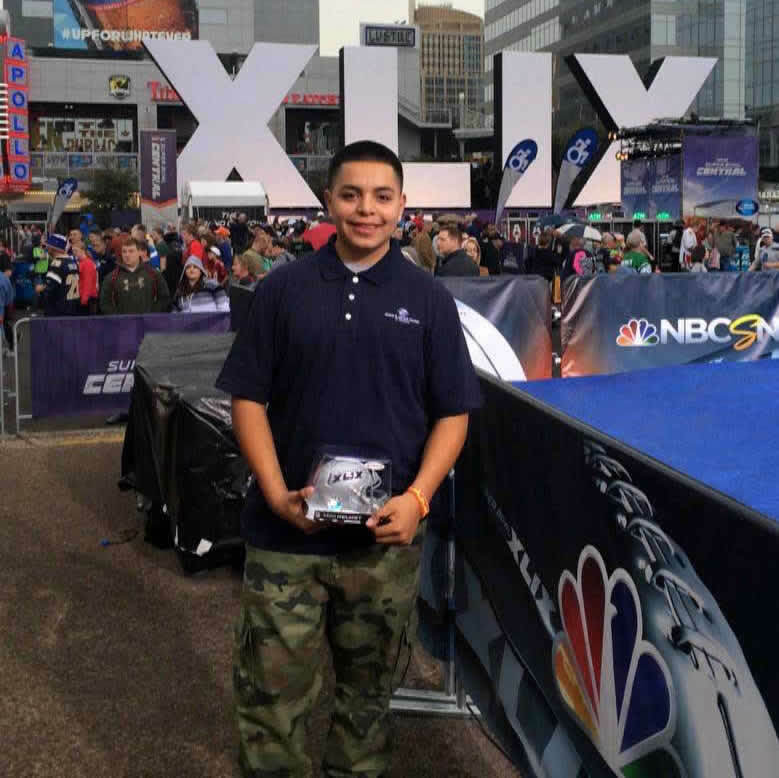 Comcast NBC Universal and The Boys and Girls Club of Tucson teamed to make one deserving member’s dream come true with two tickets to the Super Bowl; and, on Friday, Jan. 16, that lucky person was Cesar Rivera. Rivera said that the two-hour trip to Glendale, Ariz., was very “adventurous”—in fact, he said, “ “It was sick!”, referring to his intense enthusiasm for the experience. Rivera said that he and his father left Tucson on the Thursday before the Super Bowl and returned home on Monday, the day after the event. Rivera said that despite all of the excitement he experienced, the most amazing moment was being in the front row seats to the NFL honors show. 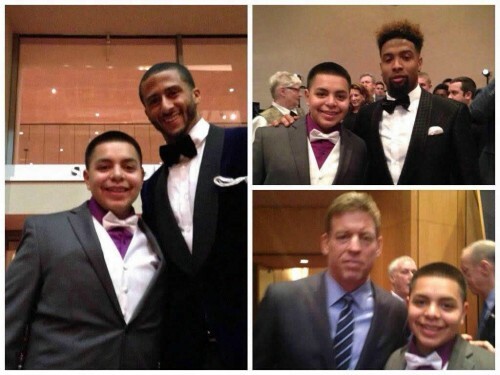 Posted on February 5, 2015 February 12, 2015 Categories Entertainment, Exclusive, In The News, Recognition, Student Recognition, WinnersLeave a comment on Free Super Bowl Tickets For Lucky Warrior! Stella Pope Duarte, author of Let Their Spirits Dance spoke at Pueblo High School on November 21st to the Senior Latino literature classes. Most writers charge a fee to talk about their novels but Pope Duarte does this because she enjoys speaking to young adults, but especially Pueblo High School students. She spoke to the seniors about her novels but specifically Let Their Spirits Dance since the seniors are currently reading it. She discussed the themes, the conflicts and the characterization in the novel and the process she went through in writing it. 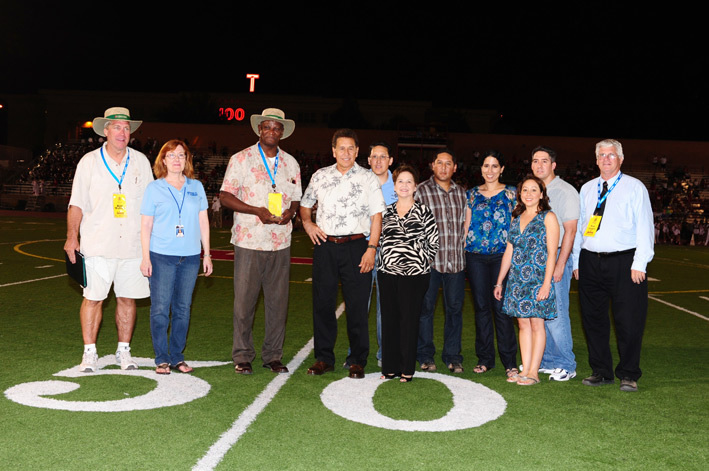 On August 25, coach Saturnino “Curly” Santa Cruz was honored at the inaugural 2011 Tucson Football Jamboree held at Tucson High. After the 3rd Quarter of the Pueblo vs. Tucson match-up, Curly was presented with the High School Signature Coach Award. A graduate of Pueblo class of 62′, Saturnino “Curly” Santa Cruz was an All-City running back and track standout and went on to play college football at Palo Verde College and Cal-Western University. He attained his Master’s degree from the University of Arizona, and he became an acclaimed educator in TUSD for forty years. “Curly” was a teacher, football and track coach and administrator. He earned “Coach Of The Year” honors in 1988. On behalf of the entire Pueblo community, we congratulate Curly and his family for this great honor. Thank you for representing Pueblo!